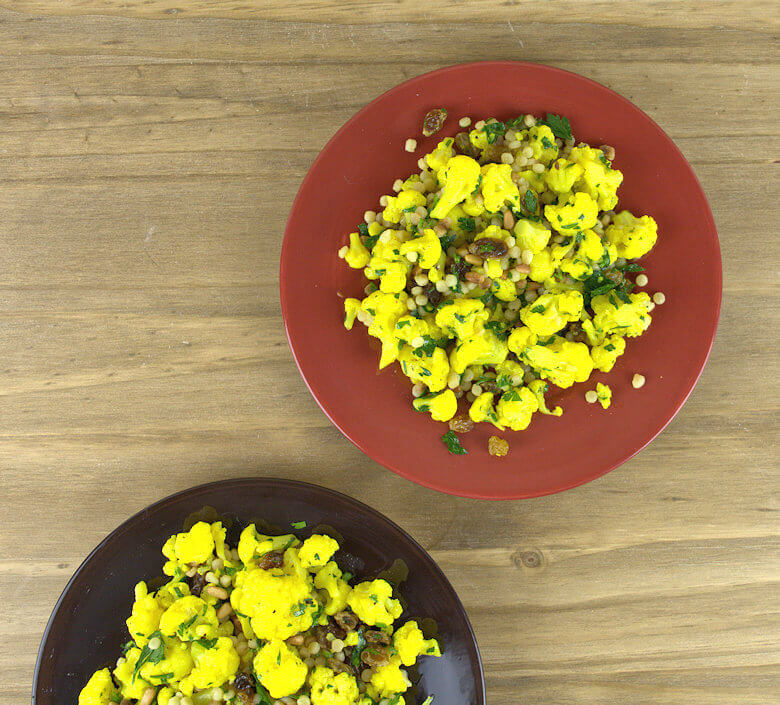 The recipe of this vibrantly yellow salad may not originate in Italy, but the addition of the Fregola Sarda gives it an Italian twist that I think it deserves the title Italian Cauliflower Salad. I really love cauliflower, as long as it is not raw. There is something about the taste of raw cauliflower that is way too strong for me. I sometimes eat an entire cauliflower for dinner, nothing else, that’s how much I can enjoy cauliflower. It’s full of vitamins, low in calories, fills the stomach and less change that I snack on something later that evening. I usually grill/roast it or cook it just a few minutes to end up with a cauliflower that is in between raw and fully cooked. Surely, I have made my share of crudites platters, raw vegetables with dips. A lot of people seem to like raw florets of cauliflower, but I end up eating more dip than cauliflower to mask the bitter flavor of the vegetable. So raw cauliflower is not healthy for me at all – too much dipping. For this Italian Cauliflower Salad I cooked the cauliflower just a few minutes, and added bay leaves, salt and turmeric to the water for flavor and color. The other ingredients in this salad are fregola sarda; a toasted pasta, similar to couscous. 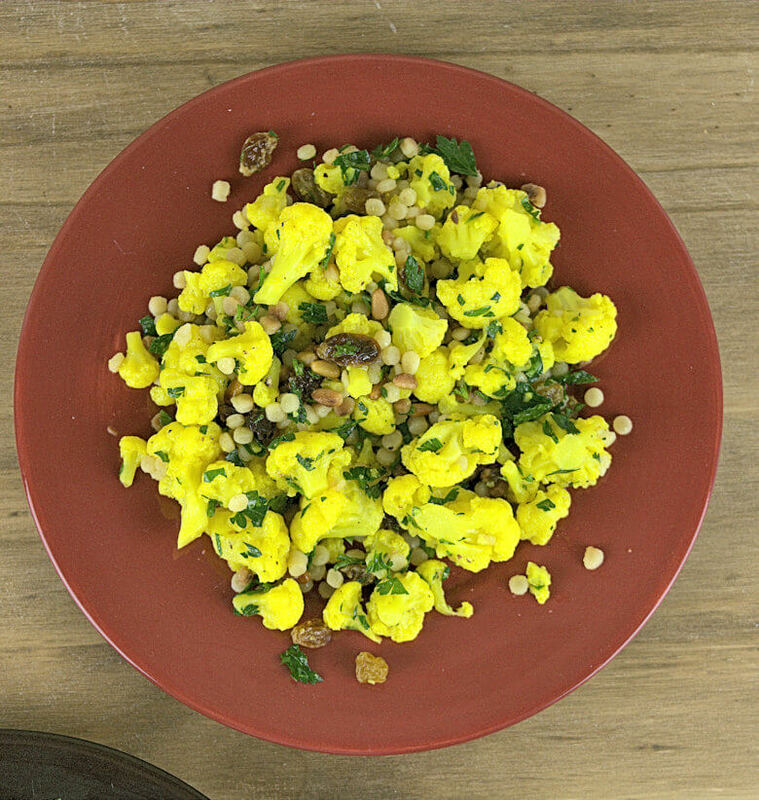 Yellow raisins that are soaked in lemon juice and toasted pine nuts, are added to stay within the yellow cauliflower color spectrum, but they also add a different texture; last but not least chopped parsley is added for a color contrast and flavor. 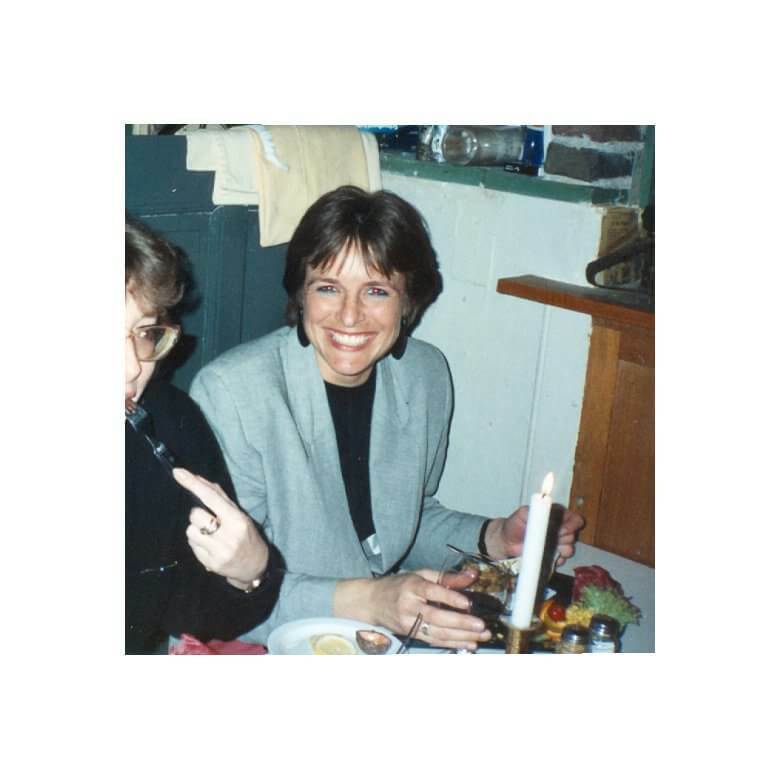 As you may have noticed in other salad recipes I posted, I like some of my salads luke-warm. Like this Potato Veggie Cheese Salad with Yogurt Dressing or Bulgur Wheat Caprese Salad or a Southern Grilled Chicken Meal Salad. This Italian Cauliflower Salad is very tasty cold, luke-warm and warm, so you can serve it as a salad or a side dish. Break or cut the cauliflower into florets and put them in a pan and just cover water. Add salt, bay levaes and turmeric. Bring the water to a boil and cook cauliflower for a few minutes. You want the vegetable to be a little softer than raw, but not fully cooked. Drain, remove bay leaves and rinse with cold water to slow down the cooking of the cauliflower. Set aside. In the meantime, transfer pine-nuts on a baking sheet and place in cold oven. Heat oven to 350 degrees F and remove when nuts are toasted golden, about 3-5 minutes. This is about the time for the oven to get to 350 degrees. Boil water and salt and add fregola sarda and cook according to directions on the packaging. Drain and rinse under cold water to lower the temperature of the pasta. Transfer lemon juice to a bowl, add yellow raisins and warm in microwave for a few seconds. Set aside, allow raisins to absorb some of the liquid. Drain, but keep juice and mix with olive oil, white wine, salt and pepper to make a simple vinaigrette. Chop the parsley and set aside. TIme to mix the salad. Combine cauliflower, raisins and fregola sarda in a bowl, add vinaigrette and mix. Add salt and pepper to taste and mix again. Divide over plates or bowl and sprinkle with pine nuts and parsley.